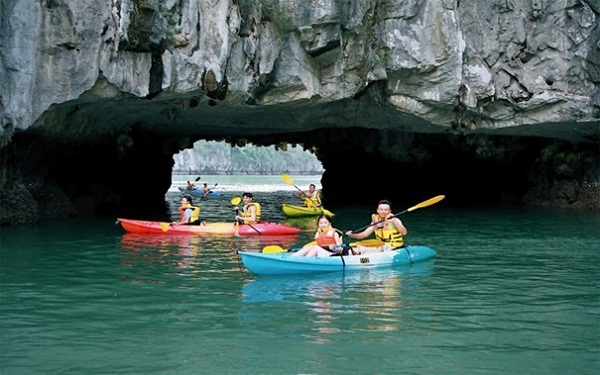 One of the most favoured activities in Halong Bay is to kayak, especially for those who come from overseas when visiting this World Natural Heritage in Vietnam. No one can deny that kayaking is an incredible way to truly discover the beauty of Halong Bay or to marvel at any hidden parts that cruise boats can not get to. It will be even more amazing if you manage to find the most stunning places dedicated to kayaking. The three following Halong Bay attractions are highly recommended. Luon Cave is around 60 meters long and 4 meters wide with the height of the ceiling ranges from 2.5 to about 4 meters up on tidal level. As the result, the only way to access the cave is by small boat or kayak. Entering Luon Cave, tourists will reach a lime-stone mountains formed lake which is a brackish one with calm and green colored sea water. 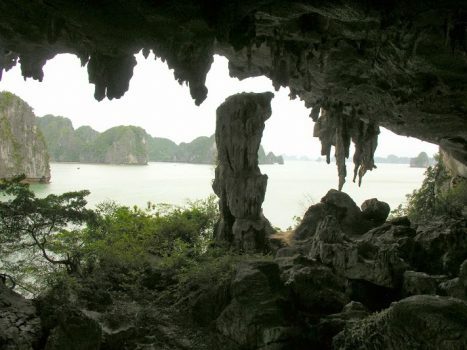 Thanks to the perfect combination of lime-stone mountains and jade-green sea, Luon Cave has long considered as a very unique destination for tourists to Halong Bay in general and for those who love kayaking in particular. 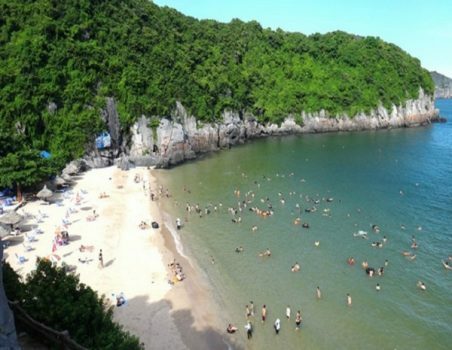 Situated in the southwest of Halong Bay, Ba Ham Lake belongs to Dau Be Island Range in Lan Ha Bay. The lake comprises three round pits linked with each other by a narrow and dark tunnel. Nowadays, Ba Ham Lake still retains a mysterious beauty, a pristine lake without any human influence as well as construction work. 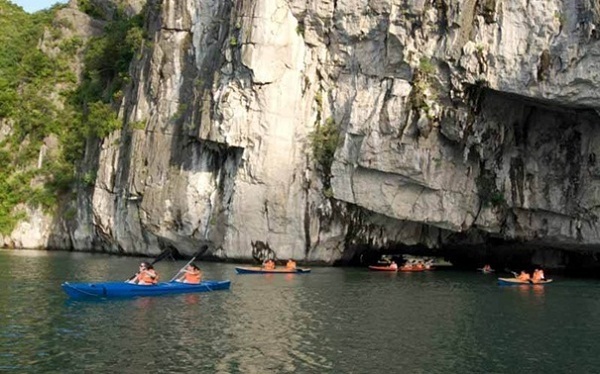 Different form other places in Halong Bay, if want to explore the natural beauty of the lake, tourists have no choice but traveling on canoes or kayaking. 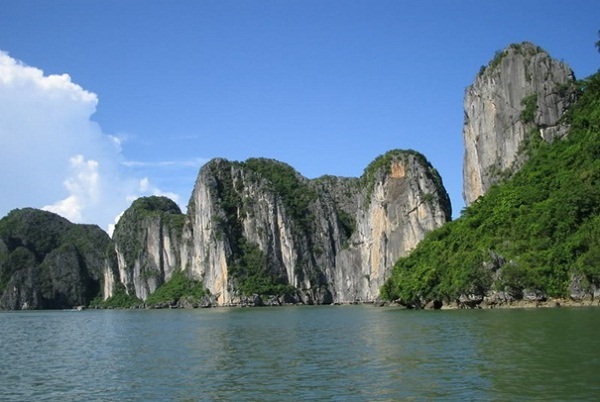 Along with Luon Cave and Ba Trai Dao Islet, Ba Ham is one of the most stunning places for kayaking in Halong Bay. It is no coincidence that Halong Bay was voted as one of 25 top destinations of the world for kayaking destination all over the world by the National Geographic Adventures.